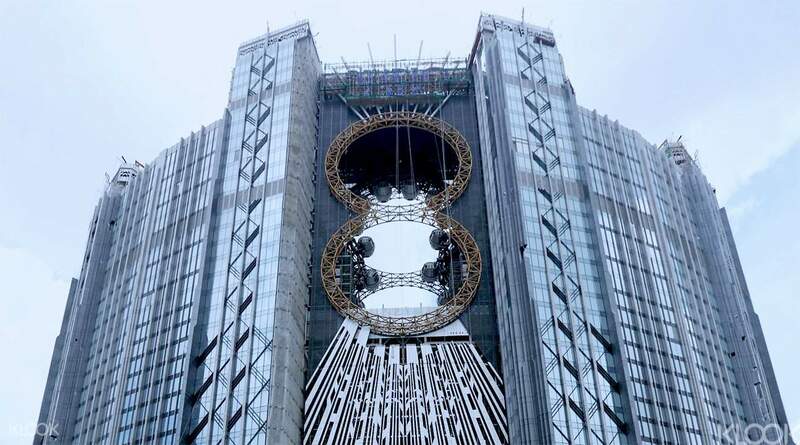 Experience the world's first figure 8 ferris wheel operating a whopping 425ft above the ground! Great experience. In the world tallest Ferris Wheel. Very romantic. Hahahahha. Magneficent view too. 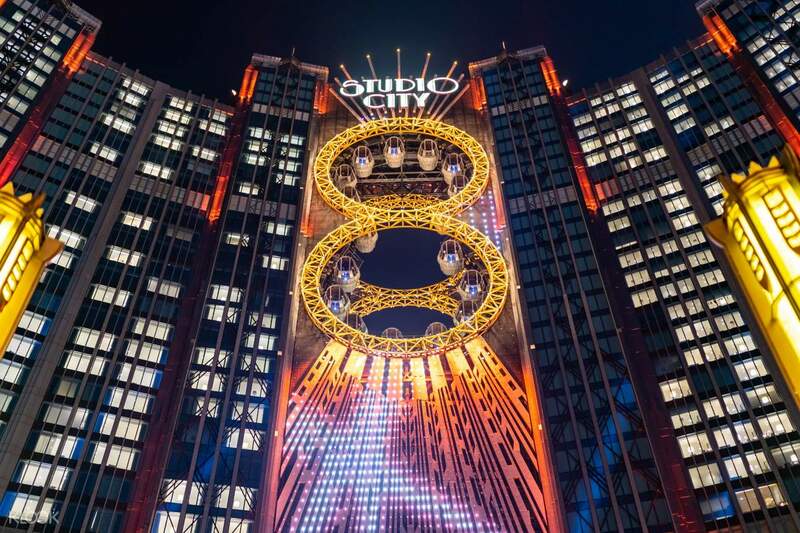 Be amongst the first to ride the newly opened attractions at Studio City - Macau's Hollywood-inspired entertainment hotspot. The Golden Reel Ferris Wheel has 17 pods traveling around a figure 8 shaped track and resembling a running 35 film reel! 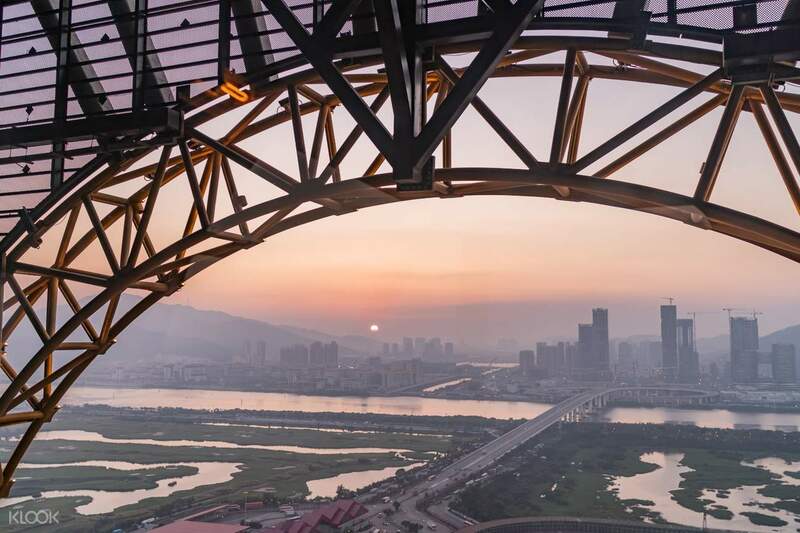 At 425ft high this spectacular structure is the highest in Asia, with stunning views of the South China Sea - it's a real must-do in Macau. 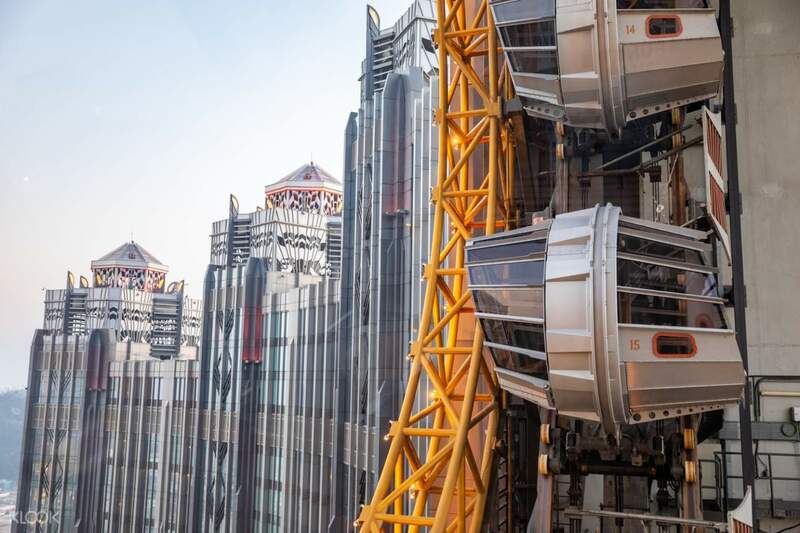 The figure 8 track takes 15 minutes to circumnavigate, with each pod holding up to 10 people. Ride the Golden Reel Ferris Wheel - a fantastic experience for you and your traveling party! This iconic landmark is definitely a must-visit for anyone that's visiting Macau! Check out how the ferris wheel lights up Macau at night! Highly recommended!! You need to collect your ticket at the box office. Just went straight up to L3 and turn to the left. I went there in the afternoon so its very sunny but the view was breathtaking. It would be better to go in the evening, it might be much more spectacular view with all the glittery lights. Overall this is one of my favourite and best highlight there in Macau! Highly recommended!! You need to collect your ticket at the box office. Just went straight up to L3 and turn to the left. I went there in the afternoon so its very sunny but the view was breathtaking. It would be better to go in the evening, it might be much more spectacular view with all the glittery lights. Overall this is one of my favourite and best highlight there in Macau! This one is amazing, A different altogether experience from Normal other flyers. Make sure you covert voucher from Mobile ticket at the entrance of Golden Reel from Box Office. The views are amazing and staff very nice. you can see Macau in colours and Cotai strip up close with it's glamaour. 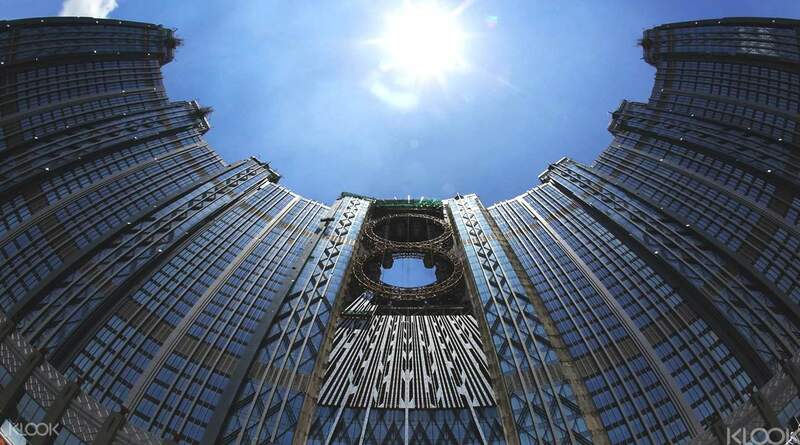 Best views Macau with it's on Special Cabins. This one is amazing, A different altogether experience from Normal other flyers. Make sure you covert voucher from Mobile ticket at the entrance of Golden Reel from Box Office. The views are amazing and staff very nice. you can see Macau in colours and Cotai strip up close with it's glamaour. Best views Macau with it's on Special Cabins. We have visited the Golden Reel Wheel during night time. Ticket have to redeem from the Box office counter before entering. The weather is cooling and we enjoyed the night scenery very much. Beautiful place. We love the journey. We have visited the Golden Reel Wheel during night time. Ticket have to redeem from the Box office counter before entering. The weather is cooling and we enjoyed the night scenery very much. Beautiful place. We love the journey. you need to show the voucher (directly from phone is ok, no need to print) to the box office as shown in the picture claim tickets, and go to the site (same floor) usually, less people in the afternoon. you need to show the voucher (directly from phone is ok, no need to print) to the box office as shown in the picture claim tickets, and go to the site (same floor) usually, less people in the afternoon. 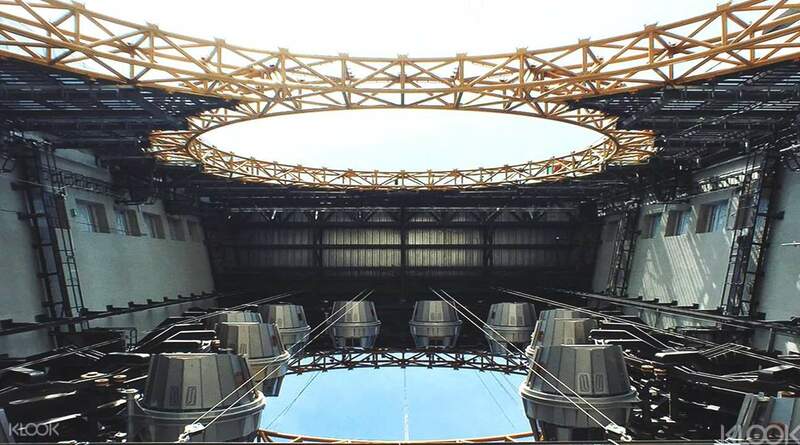 The golden reel is not your ordinary ferris wheel experience. Beside its unusual form, the view was exquisite which added to the charm of the ride. Overall it was a fun ride; very much worth a try. We enjoyed the beautiful lights of Macau without feeling unsafe during the whole ride. And through klook, we skipped the hassle getting a ticket on the spot. The golden reel is not your ordinary ferris wheel experience. Beside its unusual form, the view was exquisite which added to the charm of the ride. Overall it was a fun ride; very much worth a try. We enjoyed the beautiful lights of Macau without feeling unsafe during the whole ride. And through klook, we skipped the hassle getting a ticket on the spot. I love it!!!! First time to experience this and boy did I make the right decision!! Wish I could’ve redeemed it during at night for the better view. Nevertheless it was awesome!! Too dope! Here are some photos!! I love it!!!! First time to experience this and boy did I make the right decision!! Wish I could’ve redeemed it during at night for the better view. Nevertheless it was awesome!! Too dope! Here are some photos!! Very amazing! So good! We are on the top of this building ! :) i think if you like to have good picture. I recommend on afternoon, but if you like to see the view in your eyes its good to see in the evening :) very romantic, you can see the all the buildjngns in macau. Very amazing! So good! We are on the top of this building ! :) i think if you like to have good picture. I recommend on afternoon, but if you like to see the view in your eyes its good to see in the evening :) very romantic, you can see the all the buildjngns in macau. Had a great experience with Golden Reel Ferris Wheel. I love the view of macau at night. Lots of lights. You must be there before 8pm. You can redeem your tickets up to 7:30pm only. We arrived at studio city at 7:25pm. So we ran as fast as we could. Had a great experience with Golden Reel Ferris Wheel. I love the view of macau at night. Lots of lights. You must be there before 8pm. You can redeem your tickets up to 7:30pm only. We arrived at studio city at 7:25pm. So we ran as fast as we could. not an actual "8" coaster, but still a pleasant experience at night! tip#1: ride around 7:30 pm onwards, last ride is at 8:30 pm tip#2: make sure to deposit your luggages @ the cloak room before anything else. not an actual "8" coaster, but still a pleasant experience at night! tip#1: ride around 7:30 pm onwards, last ride is at 8:30 pm tip#2: make sure to deposit your luggages @ the cloak room before anything else. The experience was one of a kind. Though the ride is a little bit short and not so worthy of the money you've paid, the experience itself is worth trying. One of the highlights of our Macau trip. The experience was one of a kind. Though the ride is a little bit short and not so worthy of the money you've paid, the experience itself is worth trying. One of the highlights of our Macau trip. Q: Is there a child ticket available? A: Yes. Children under the age of 2 can ride for free. Children age 2-12 can purchase the HK$80 child ticket. These child tickets must be purchased in person at the ticket counter and cannot be booked online.